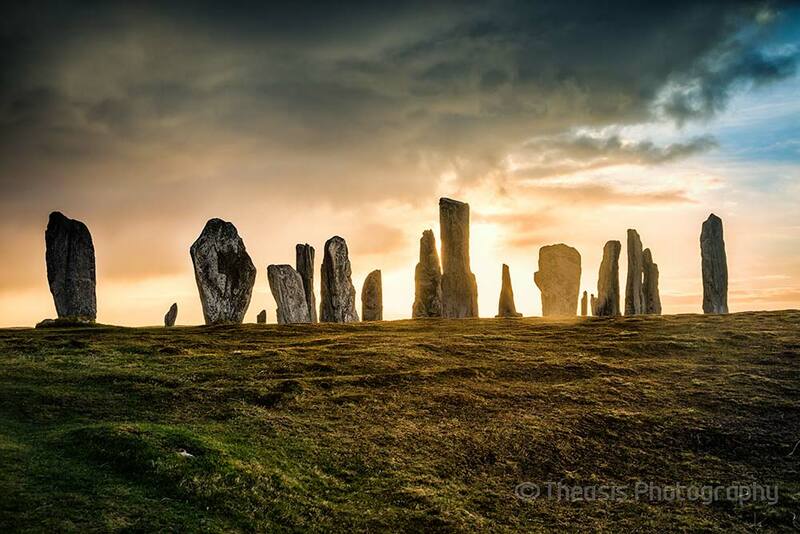 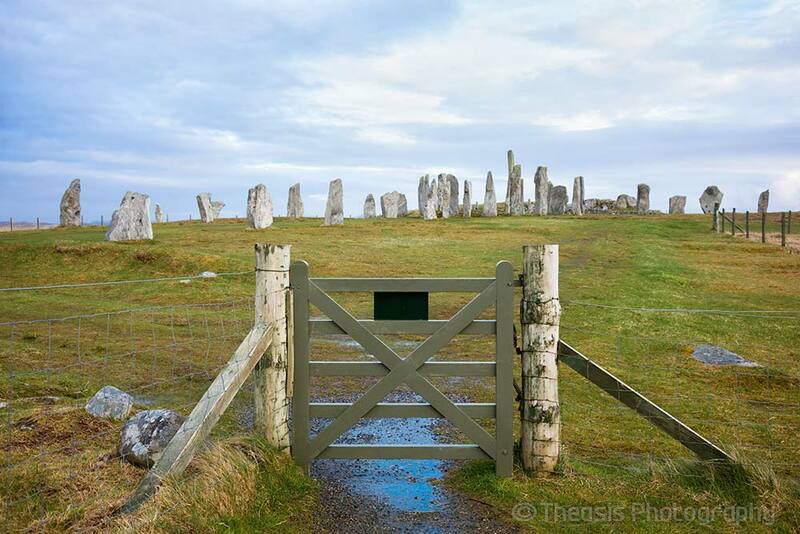 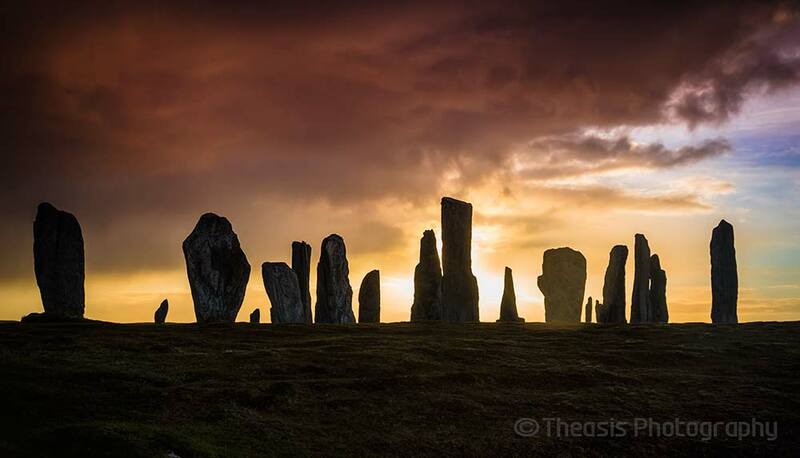 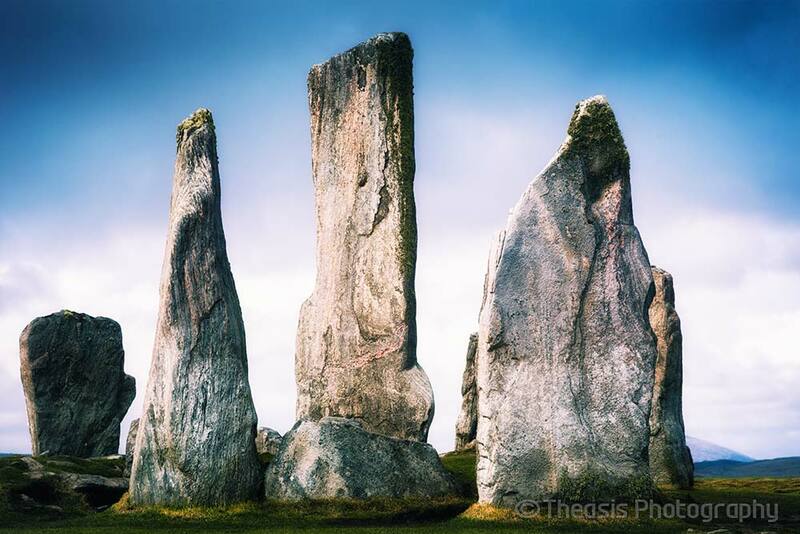 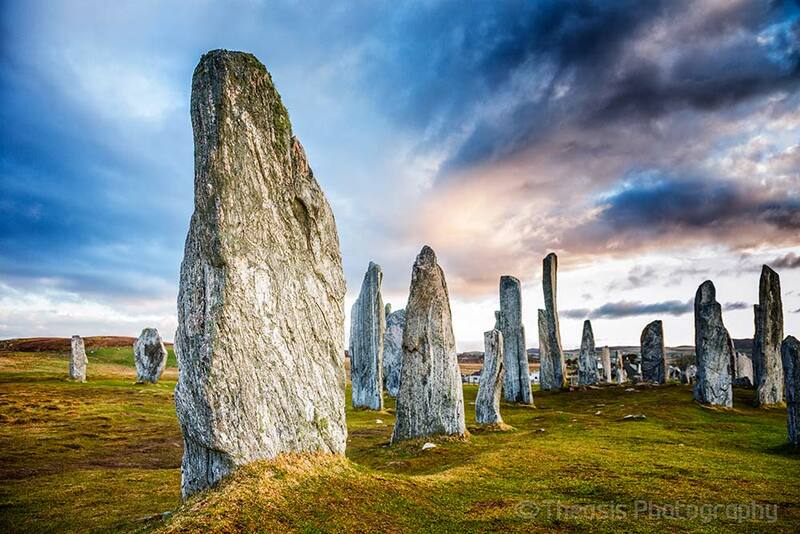 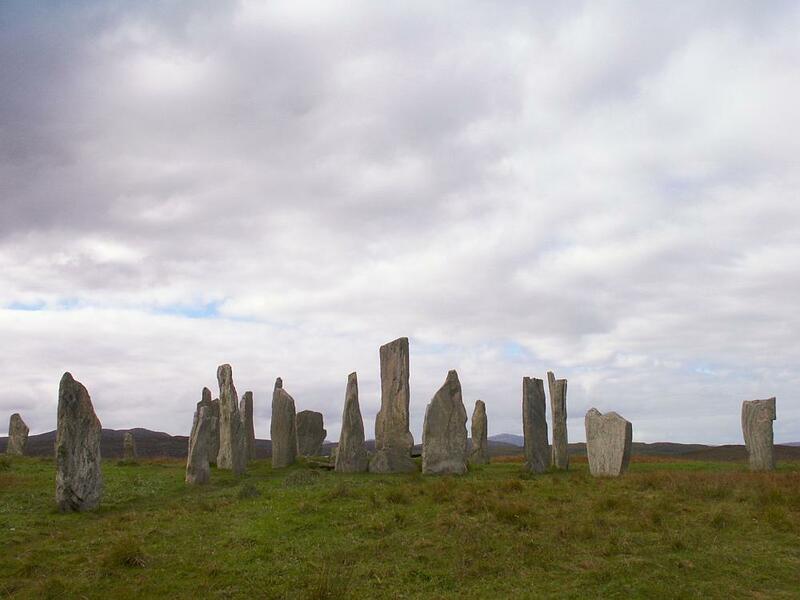 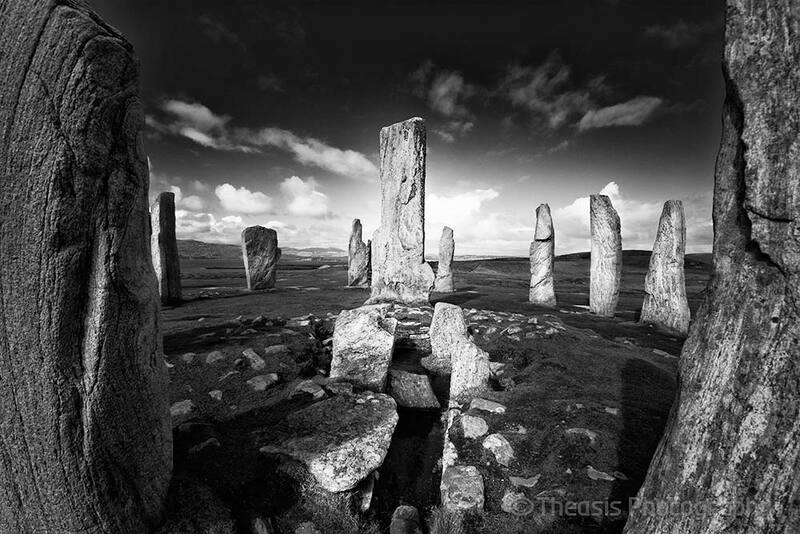 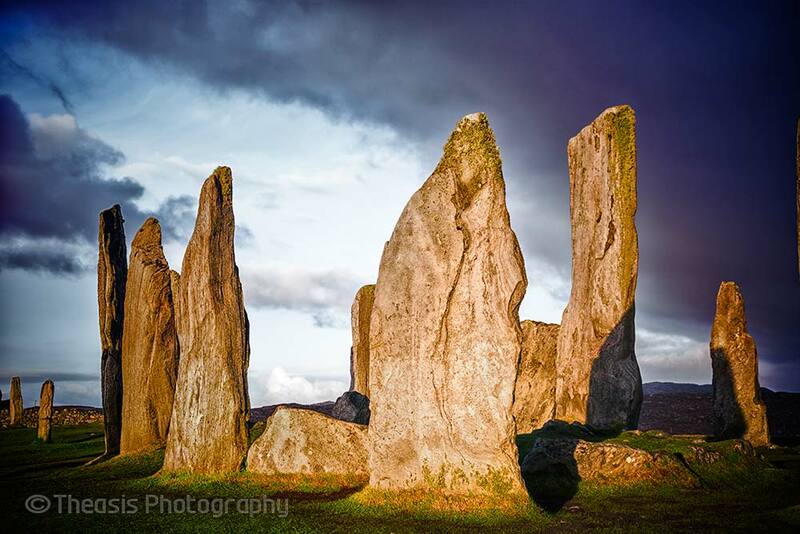 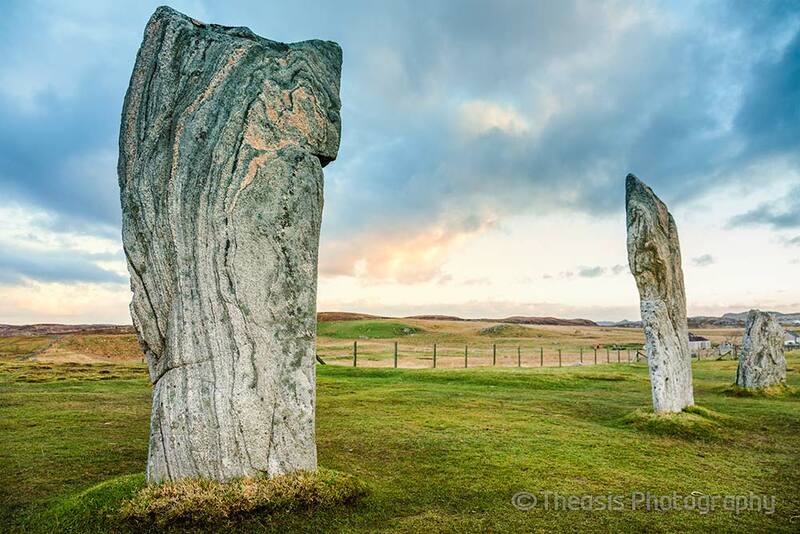 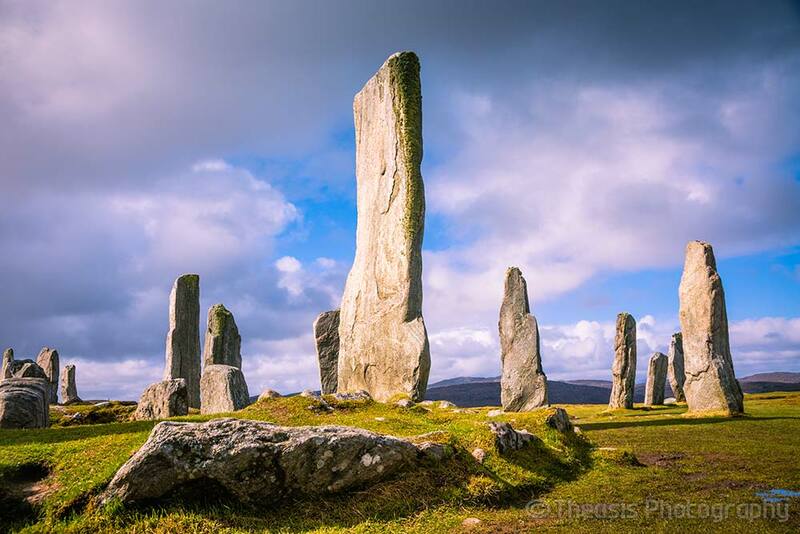 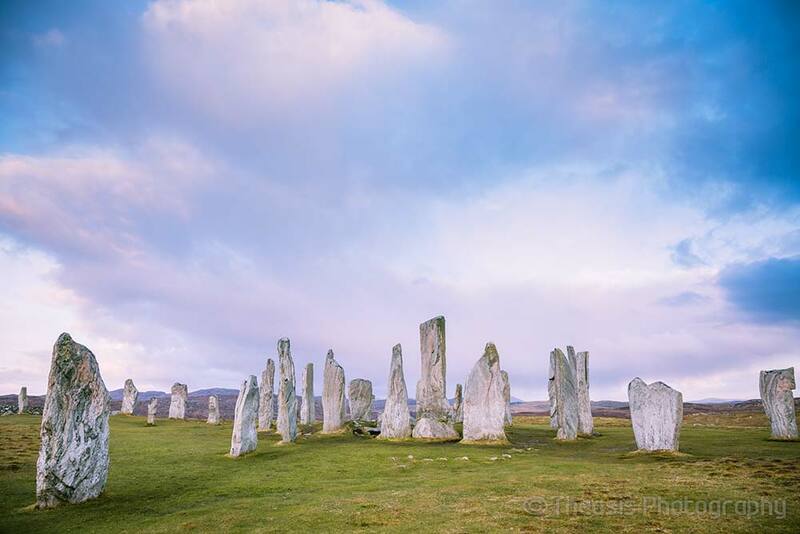 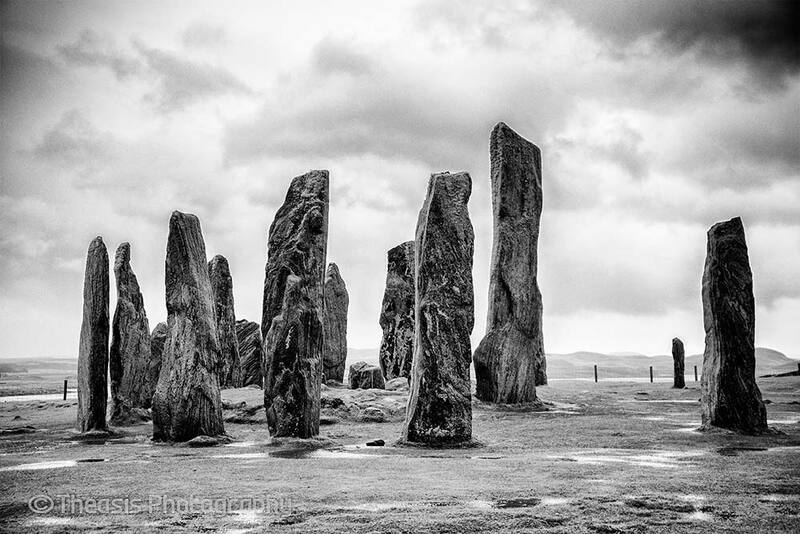 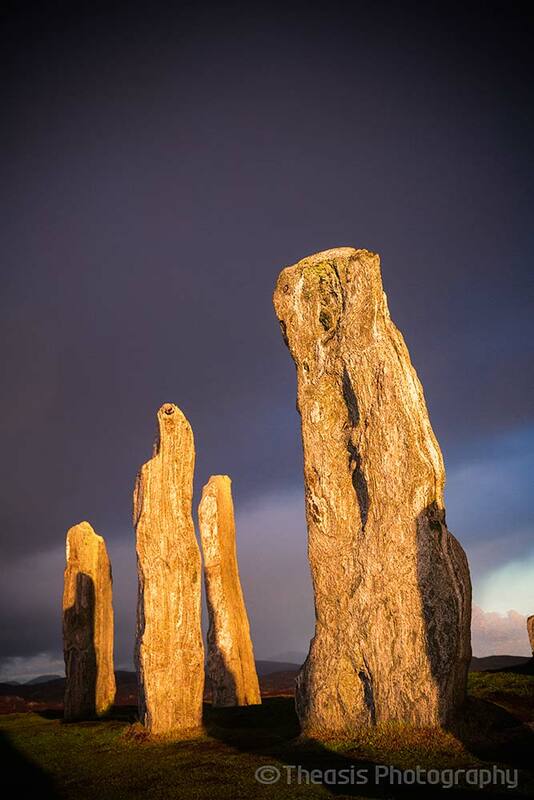 Calanais I is almost always a confusing jumble of megaliths when seen in photographs, as it is difficult to distinguish between stones that make up the circle, those that make up the main avenue, and those that are part of the other rows. 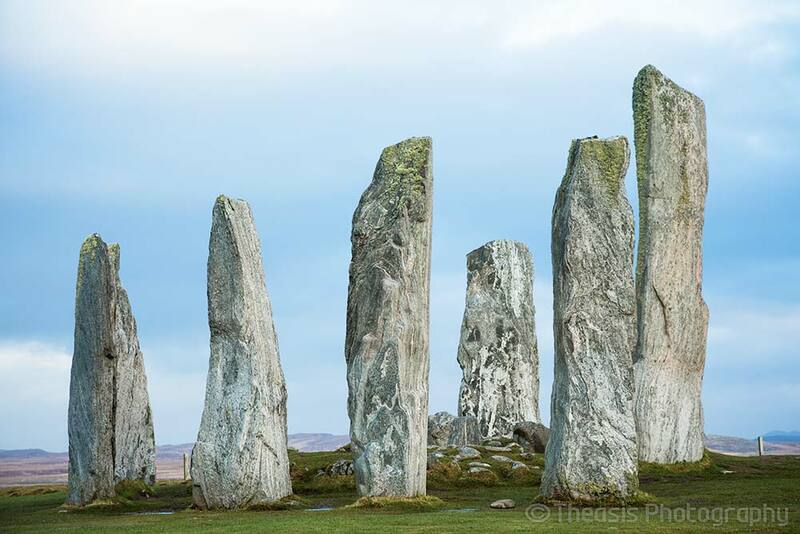 In reality it is a truely stunning and beautiful monument--but perhaps still a jumble of megaliths. 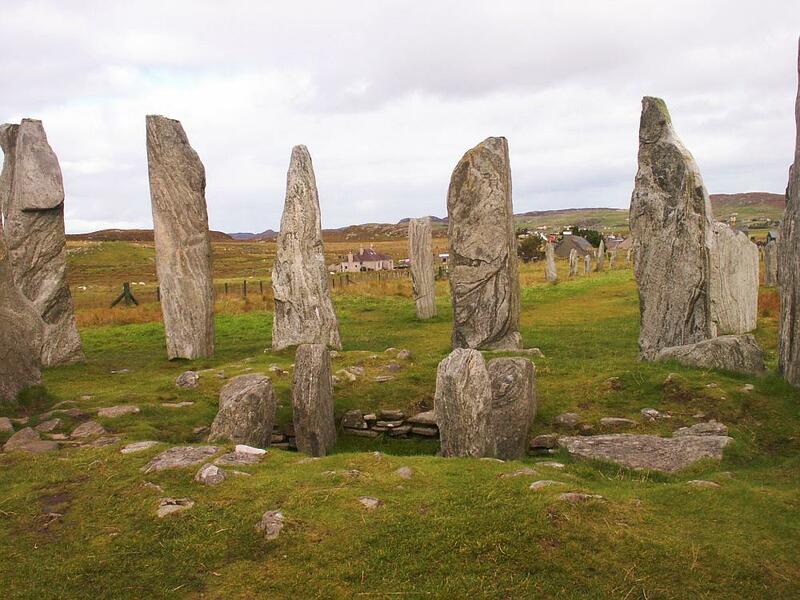 Excavations have shown that the area was farmed more than 5000 years ago. 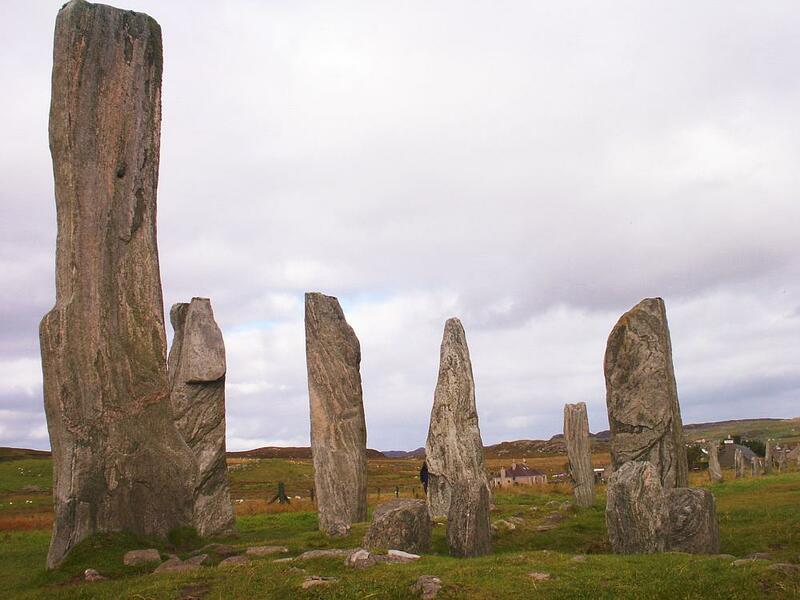 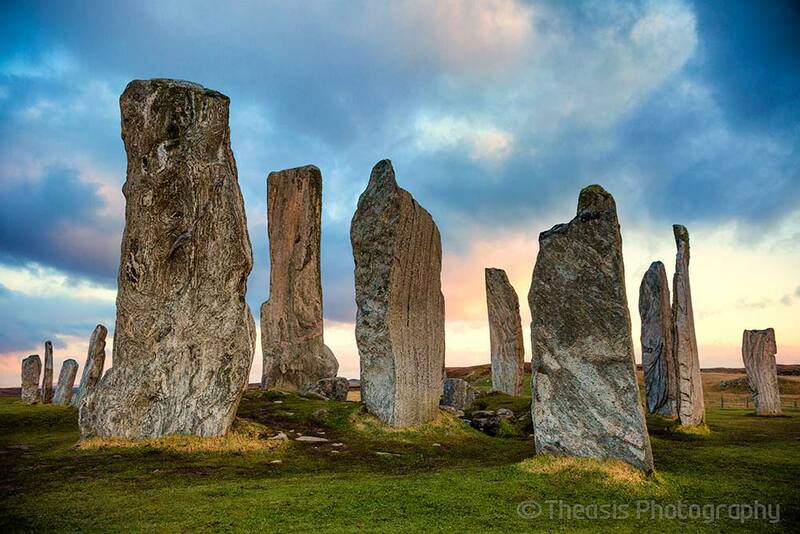 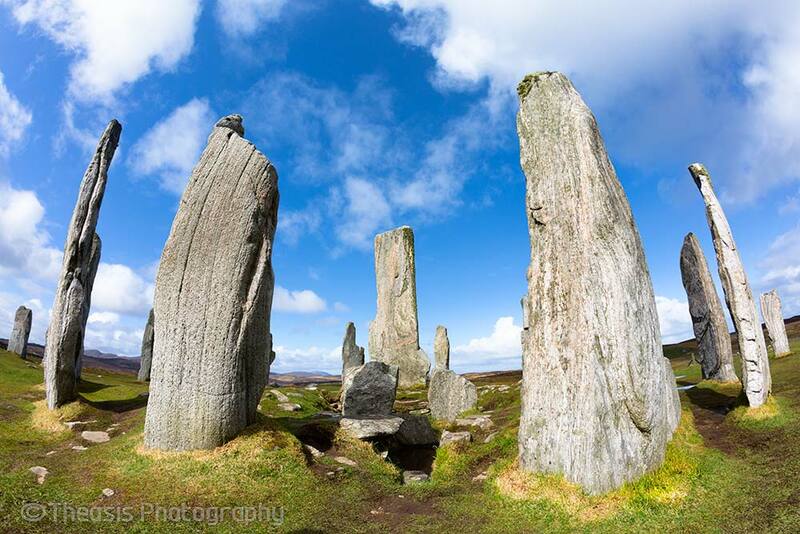 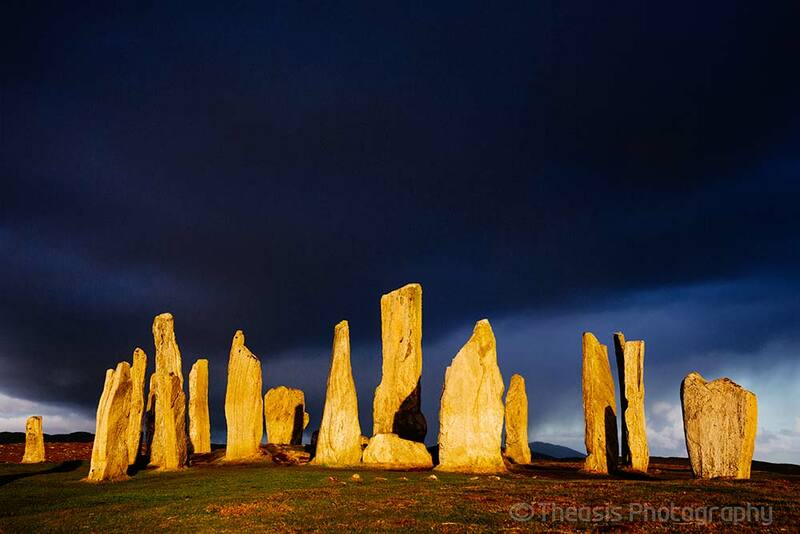 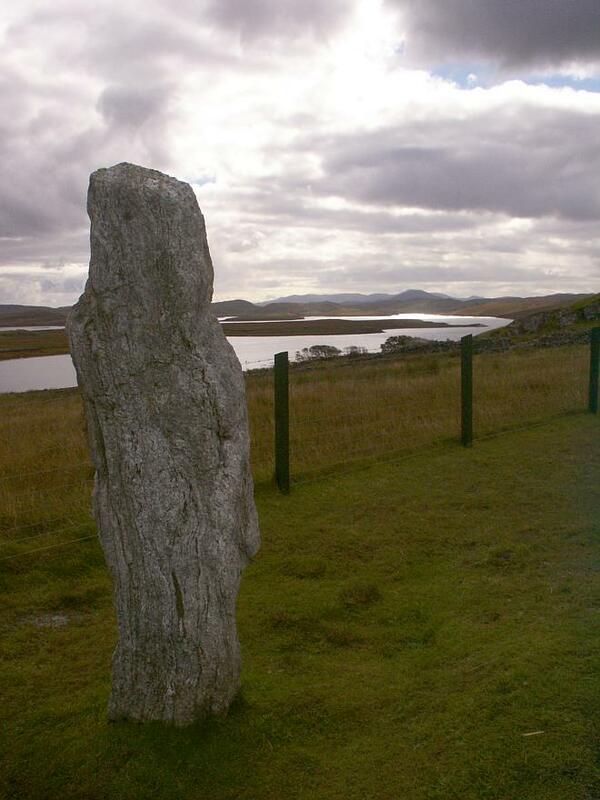 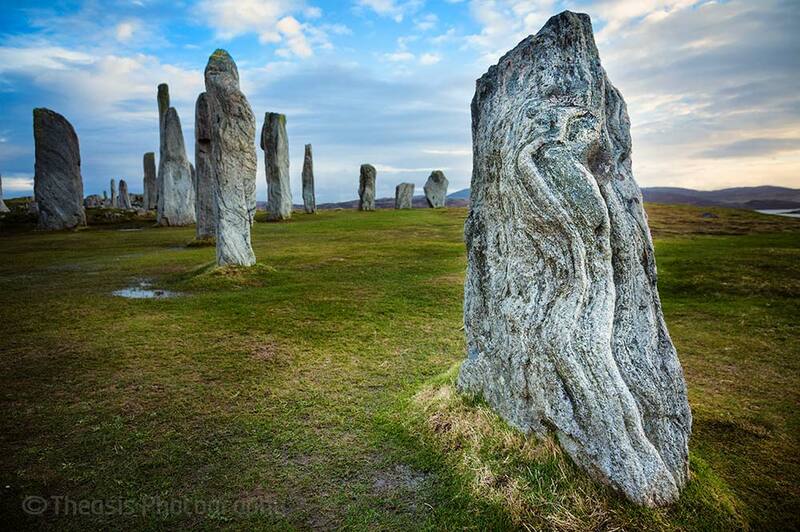 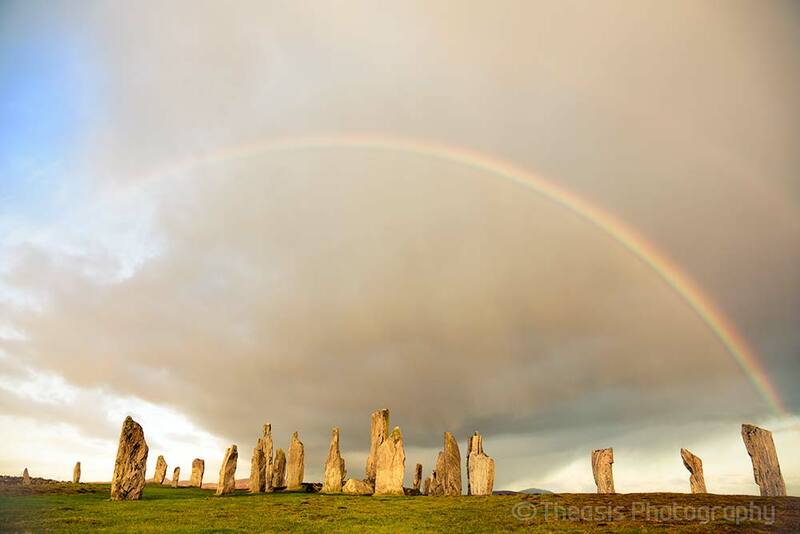 Around 3000 BC the stone ring was set up and the central megalith erected. 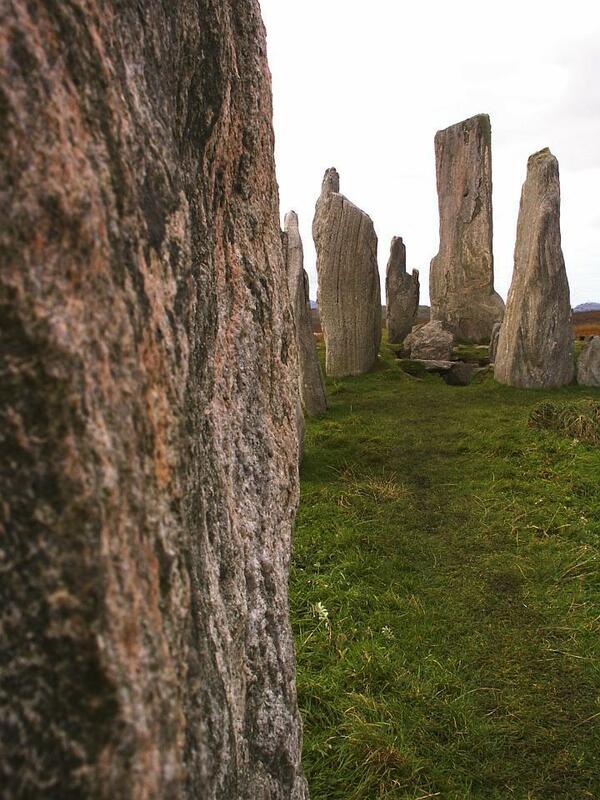 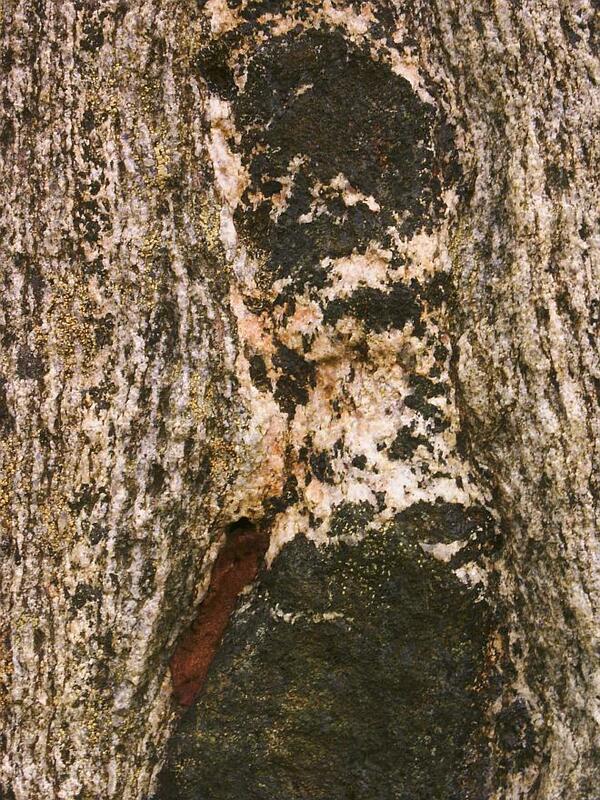 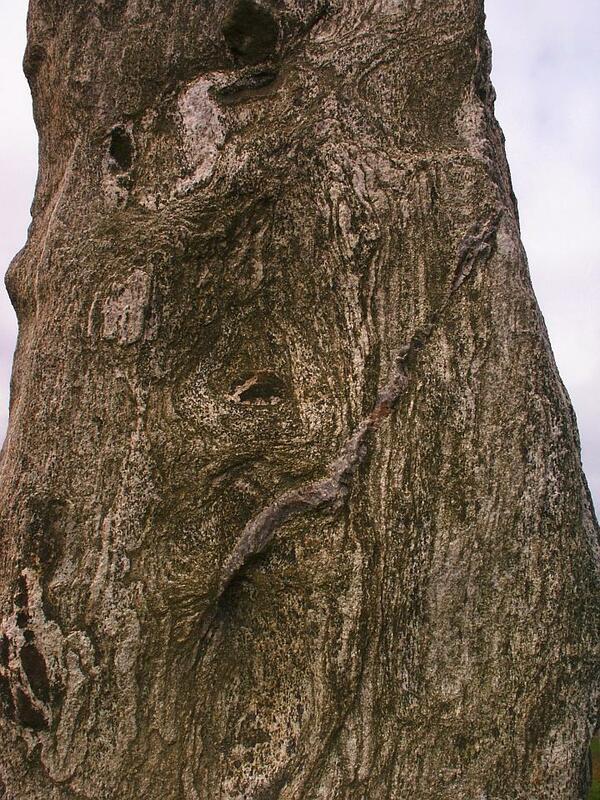 Sometime later a chambered cairn was constructed between this monolith and the east side of the ring. 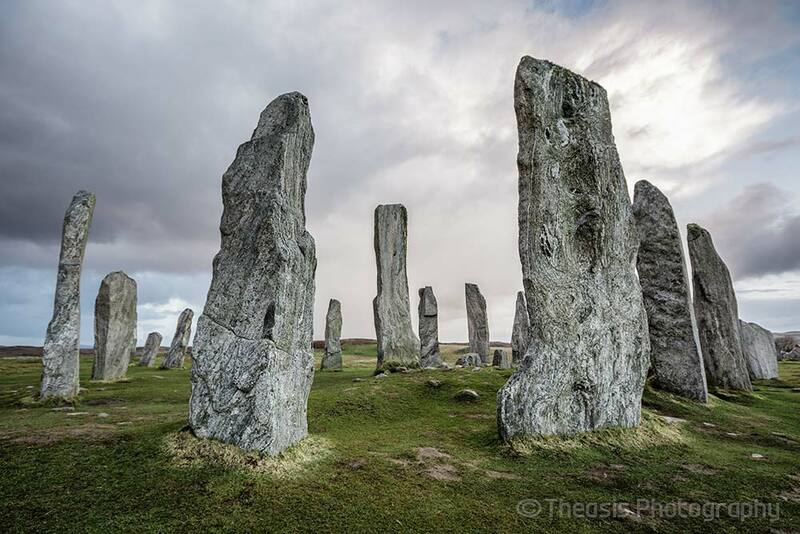 Sometime in the next two thousand years, stone rows were added to the south, east and west, and a long avenue to the north. 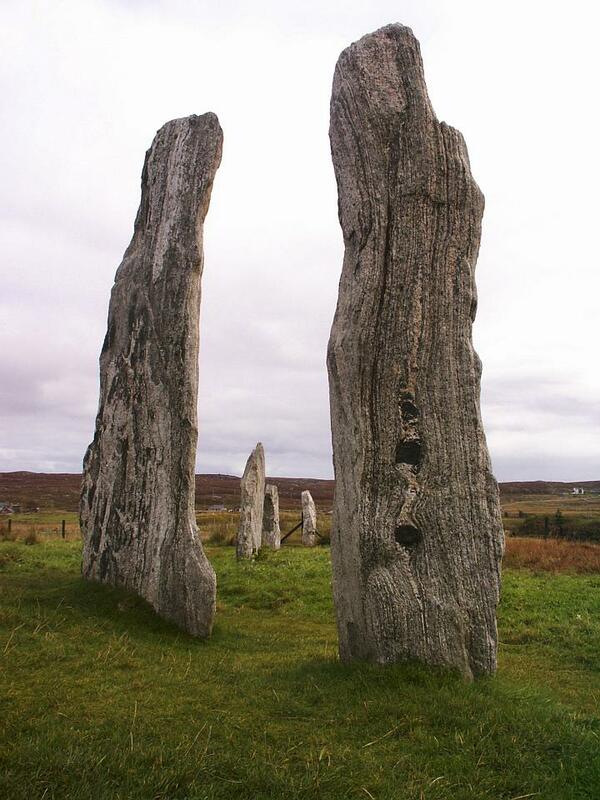 The whole site was abandoned around 800 BC and gradually began to disappear beneath the peat. 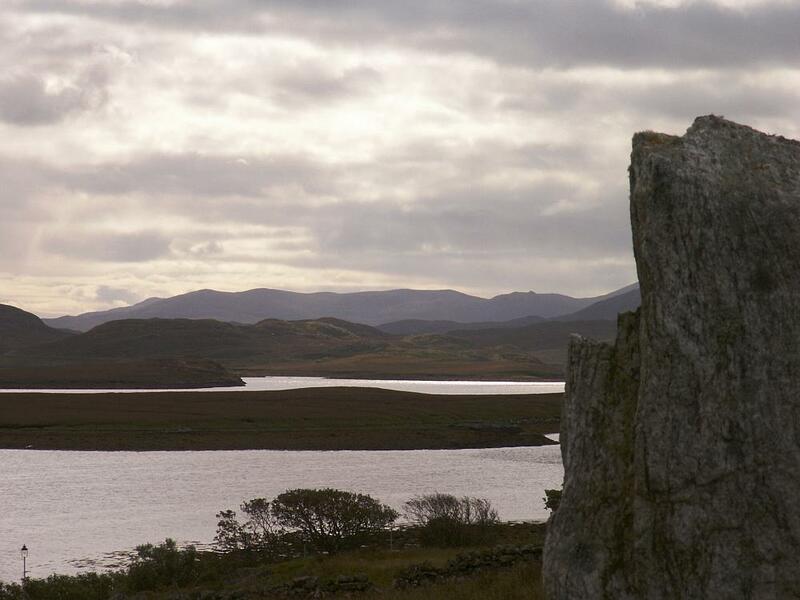 The horizon to the southeast forms a silhouette like a person lying on their back, known sometimes as the "Sleeping Beauty" or "Cailleach na Mointeach" (The Old Woman of the Moors). 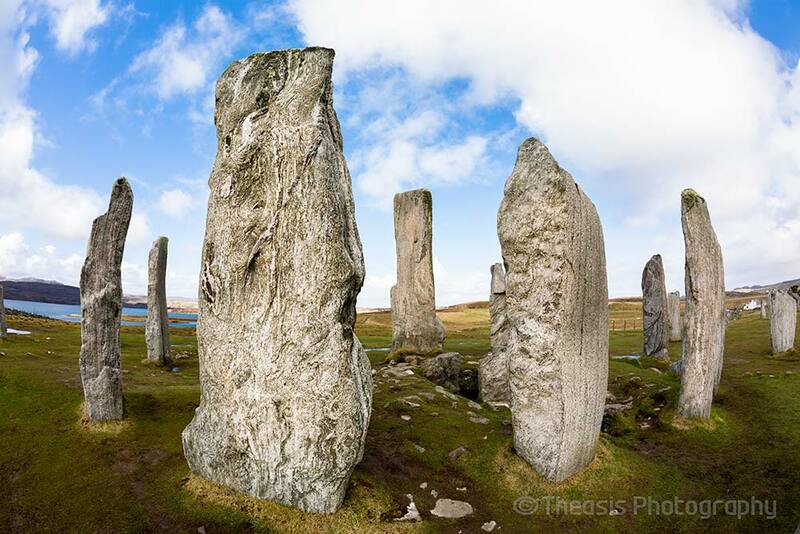 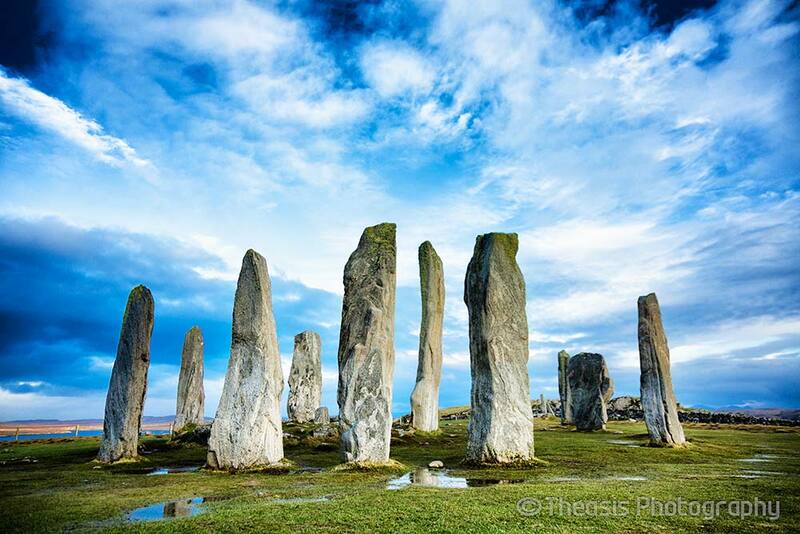 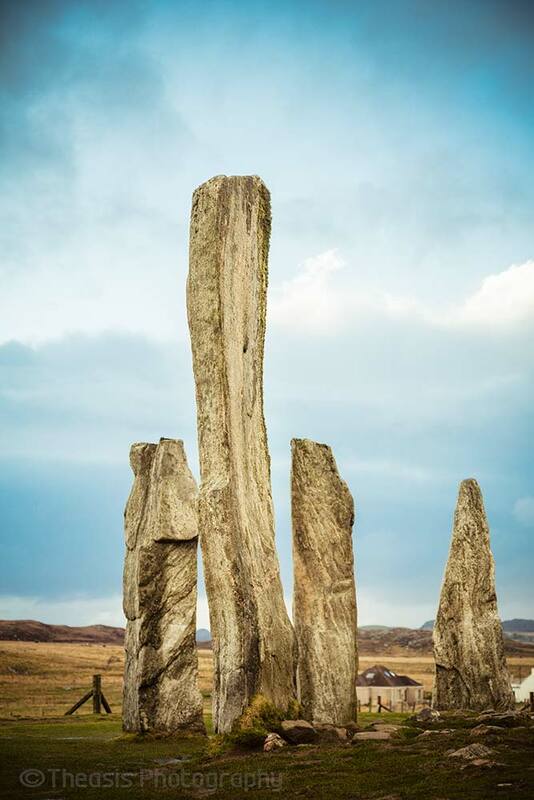 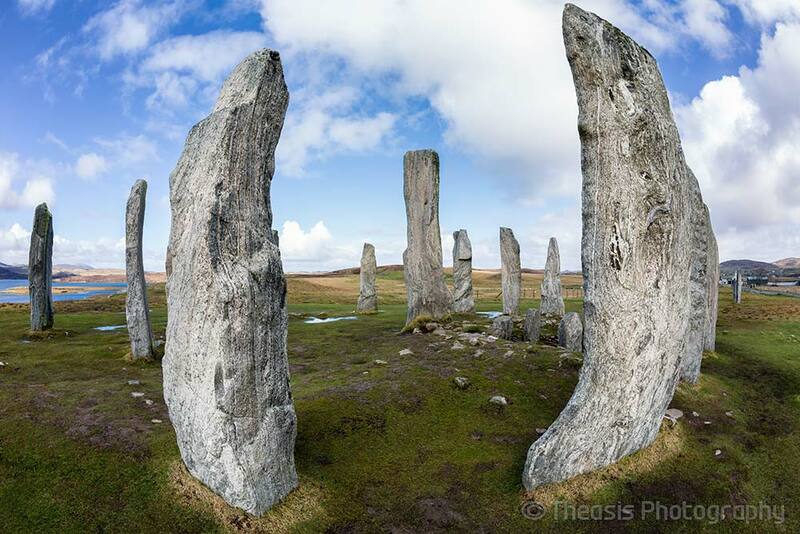 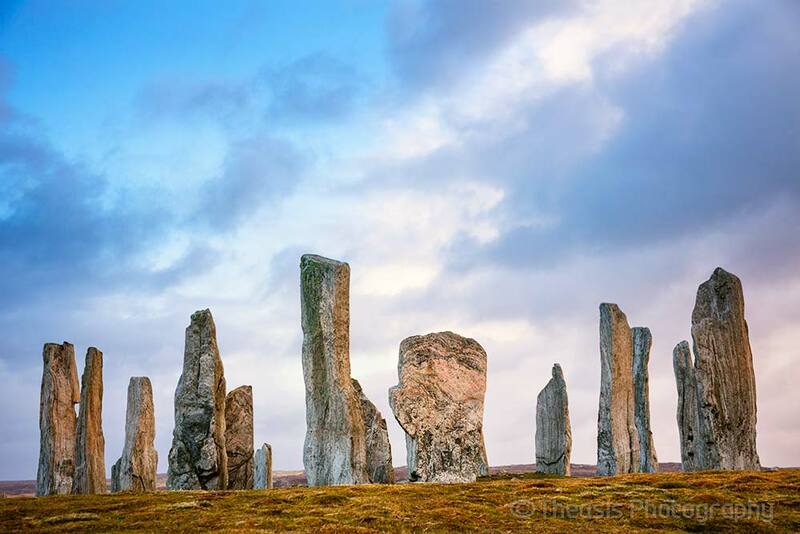 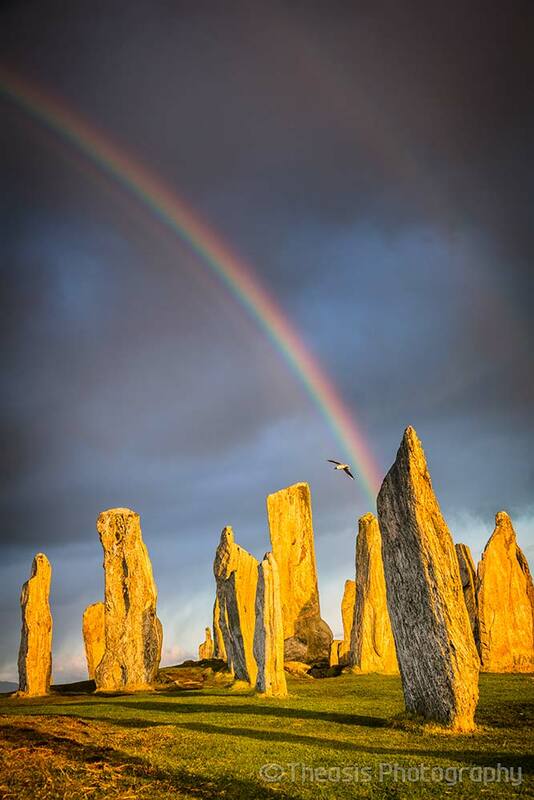 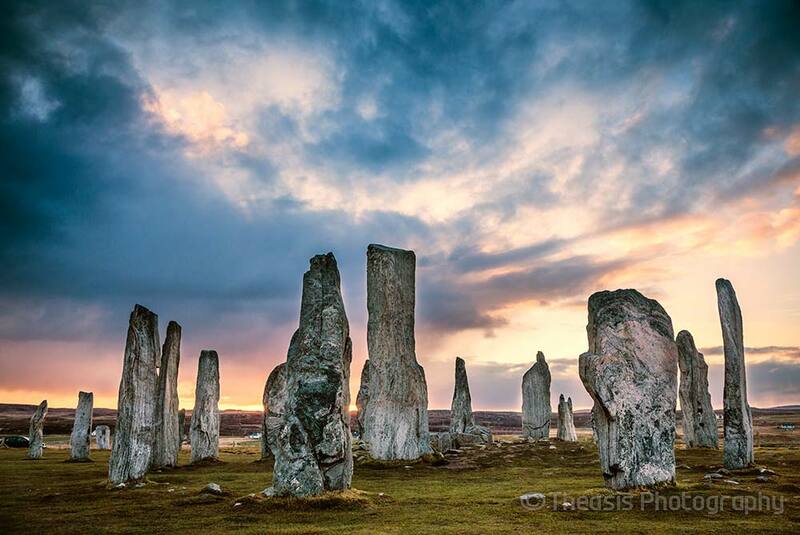 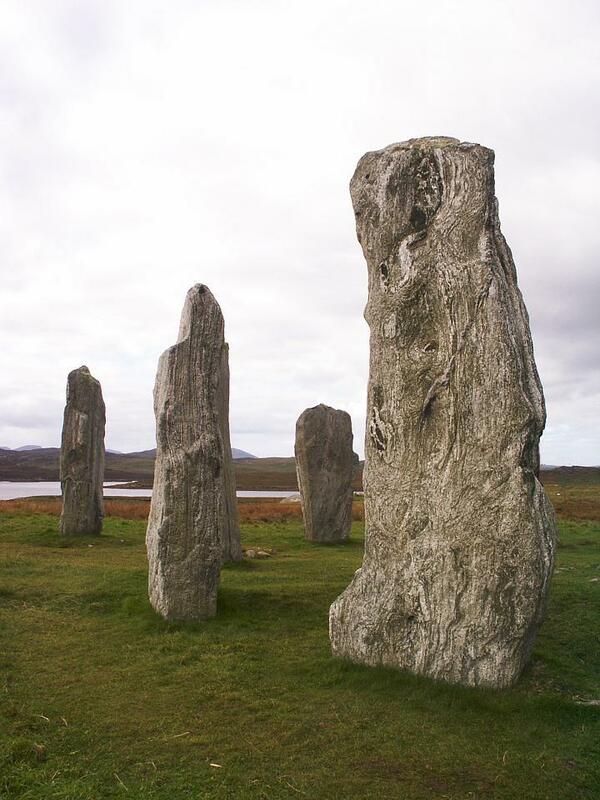 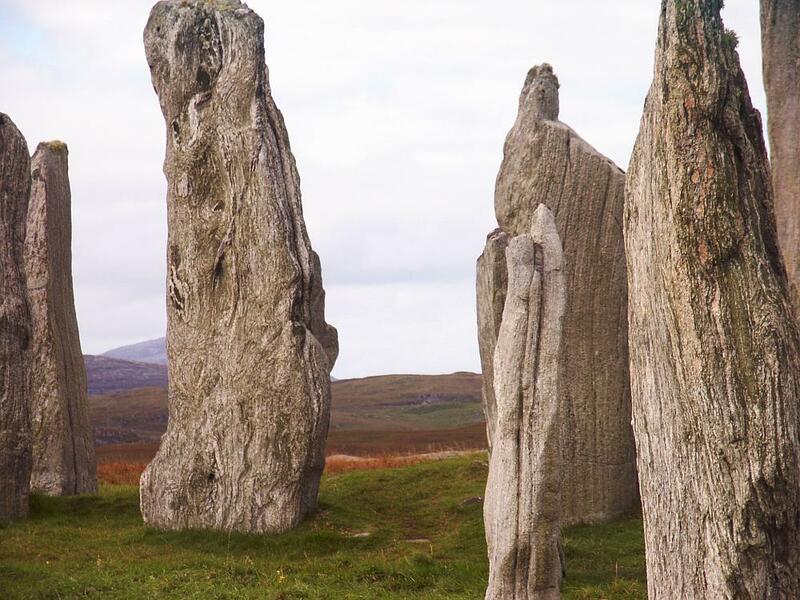 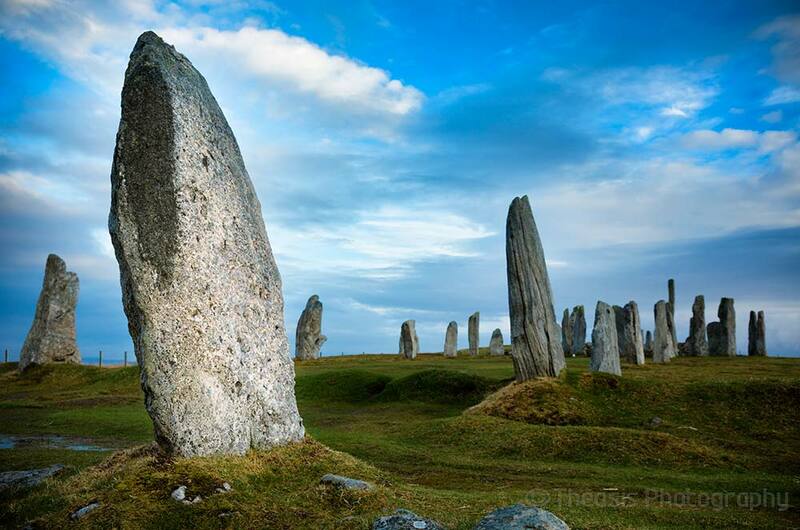 See also: Calanais II, Calanais III, Calanais IV and Calanais VIII.